Business RSS News: Want a Thriving Ecommerce Business? Focus on the Pros and Cons of an eBay Store! Want a Thriving Ecommerce Business? Focus on the Pros and Cons of an eBay Store! Since its launch back in 1995, eBay has become one of the top destinations for people looking to sell everything from rare collectibles to electronics to clothing. But there’s a difference between just selling a few spare items and creating an actual business on the platform. It is possible to start an ongoing business using eBay as your primary marketplace. But as with anything, there are pros and cons to consider before jumping in. Here are some pros and cons to consider about eBay before using it to start your very own ecommerce business. With 171 million active users in the first quarter of 2018, eBay is one of the most popular ecommerce destinations online today. So you don’t need to spend tons of time or money marketing your business — those shoppers are already browsing eBay for a variety of different items. To grow your shop and learn the tips and tricks of operating a successful eBay business, the site offers community features like discussion boards and question and answer forums. So you can learn directly from other sellers who have found success on the platform. As opposed to building your own site from the ground up, setting up a storefront on eBay is relatively quick and easy. You need to sign up for an account and purchase a store subscription. Then you can personalize your storefront with a few clicks and start adding products right away. So you don’t need to invest a ton of time and money just to get your business off the ground. The site has been known for years as one that really protects buyers in case a seller doesn’t ship a product or engages in any kind of fraud or misdirection. However, there are also seller protections in place in case a buyer doesn’t pay or files a Money Back Guarantee claim without any proof of wrongdoing. 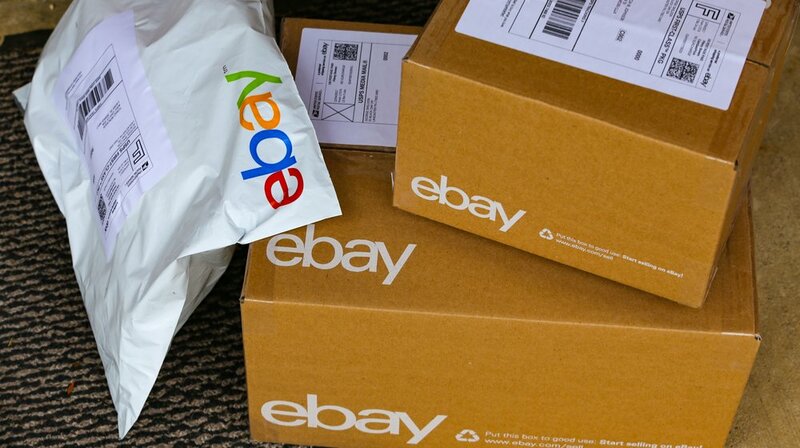 Unlike many of the other popular marketplace sites, eBay offers both auction and Buy It Now options for sellers. So if you just want to have a normal shop with fixed prices, you can. But if you want to potentially make even more by letting some items go as auctions, you can. You can also set minimum prices so you don’t have to sell those items at rock bottom prices if you don’t want to. Additionally, eBay doesn’t actually sell any products of its own. So when shoppers are browsing the site, they only see items from third party sellers. This also means that the platform has no incentive to make your products harder to find in an effort to guide buyers to its own line. Compared to some other ecommerce platforms, eBay’s seller fees are actually relatively low. But they do still exist. The site charges insertion fees when you list an item on eBay and total value fees that are based on the total price of the sale. There are also some optional fees if you want to make your products easier to find. The exact costs vary depending on your seller subscription model and the price of your items, but you can see a full breakdown here. As of 2017, eBay’s gross merchandise volume sat at $83.9 billion. So even though eBay doesn’t sell any products itself, there are a ton of other sellers on the platform that you have to compete with. So while it’s easy to get set up and you can certainly take advantage of the huge number of built-in shoppers, you still do need to find ways to set your shop and products apart from all those other options. Partly because of its early days as mainly an auction site, eBay has become known to many consumers as a site for bargains. While there are certainly some shoppers willing to pay top dollar for rare collectibles, there are even more who are looking for the cheapest possible prices. There are countless articles and posts from shoppers guiding others toward loopholes or tips for getting the lowest possible prices. And eBay even has a separate section of the site for deals. So if you’re looking to sell high priced merchandise, it might not be the best platform choice. So if you don’t have the time or ability to ship your items quickly, it could have an impact on your shop’s visibility. So that’s another situation where eBay might not be the best choice. When you set up your own website from scratch, you can control pretty much every aspect about how your store looks and operates. However, the general layout and operation of an eBay shop is pretty standardized across the platform. So you can add a few branding details and shop policies, but other than that most things are already determined for you.